The playing field for marketing software has become very confusing over the years. Anyone who has seen infographics of Chiefmartec of the marketing software landscape, will confirm that there is too much choice and it is very hard to assess what types of software best fit the business needs of an organization. Marketing automation is a good example: the term marketing automation is applied to the automation (set it and forget it) of all marketing processes, both inbound and outbound, to clients and prospects and both B2B and B2C. But when organizations go looking for marketing automation, they mostly find lead generation tools for a B2B context only, with little to no function for communicating with existing customers. In practice, most often investments are made in a data warehouse including BI, CRM environment and an email marketing tool. With that organizations think they have covered the main data streams for the marketing process. But what is really required to give shape to marketing automation? To achieve marketing automation in an organization, it is important to set up an infrastructure that removes manual steps for day-to-day activities. What does that mean for the (infra)structure? Data integration: Mapping the customer journey status of each customer means that all relevant data must be connected and brought together at a central control point in (near) real time. This means all information from the marketing automation solution, information from internal operational systems and combined with contact information from systems such as the contact center environment, email software, CRM and CMS environment. Analysis: identifying customer journey stages and differentiating needs of different target groups in each phase requires sophisticated analysis capabilities. In addition, the optimization of communication processes (“what’s the next best action?” And “how do I avoid excessive contact pressure”) is always linked to testing and learning based analysis. Analyzing in this context is not a fixed-formed Business Intelligence functionality (which looks back) but a Business Analytics functionality (looking forward). The marketer should be able to play with data, to choose ever new perspectives and have a great deal of flexibility. Marketing automation implies inbound touch points are automatically sent to the most recent data insights but also automatically initiate learning through various channels, based on data updates from all levels of the organization.Advanced business rules can be defined for various customer groups throughout the customer journey. One example is automatically sending a welcome message when entering a client group and after a period automatically send a message checking if everything is in order. Directing the process: The one in charge of marketing automation is the marketing manager. This means that the marketing manager needs to have a grip on all the data, analytics and coordinates channels, and business rules in a simple manner. The moment an organization wants to move towards marketing automation, one often discovers that the existing tools are not designed for these requirements. Almost always IT owns the data infrastructure. Data warehouses rarely have good access to communication tools and also do not direct them. CRM is often fed from data entry and have very limited analysis or campaign management capabilities. Communication tools often coordinate within one channel without analysis or data integration possibilities. Hence, in addition to the existing infrastructure additional manual processes are almost always required. How to find a marketing software infrastructure then? A good choice for marketing software starts with an understanding of the process to be automated. As a data warehouse is suitable for internal reports on internal data and a CRM system is suitable for 1-on-1 touch points between customers and employees, marketing automation software is suitable for the automation of marketing (campaign) processes. Compare above 4 points with the existing tools and determine objectively whether the existing tools have added value for marketing automation ambitions. If this is not the case, then look for additional tooling and make sure that the choice made, fully fills the gaps in the existing infrastructure. Let providers concretely present how the tools meet the need. Choose a provider that itself can cope with integration processes and thus minimizes the load on IT. Outsource the implementation. Determine proposition, marketing KPIs, communication channels and customer contact strategies (although at the last a piece of advice does not hurt). The marketer has to spend his time managing and optimizing the communication processes, not messing with data for the purpose of preparing campaigns. Choose a provider that can play a good role in implementation and integration, so that tying the tools together doesnt have to be a problem. Don’t search for marketing automation but for a marketing database with campaign management functionality. The proper term to search for is not marketing automation but a marketing database with campaign management functionality. 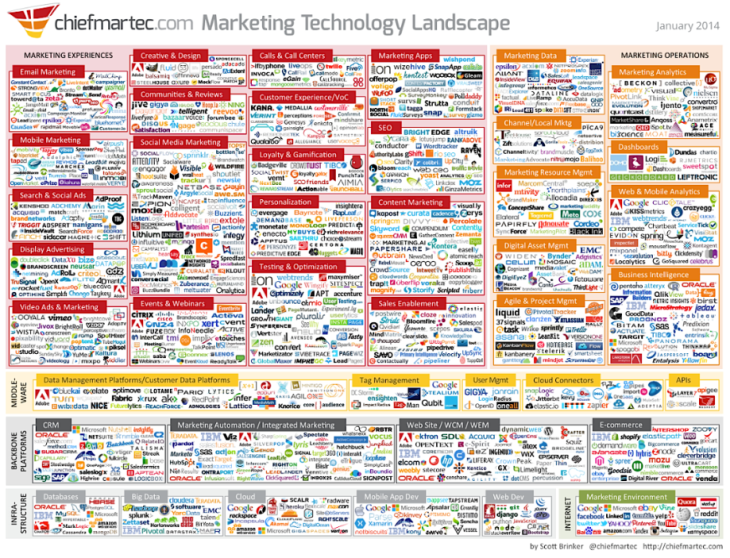 To fill this need there are enough marketing software providers to choose from; Inform yourself well!